The iconic clawfoot tub. 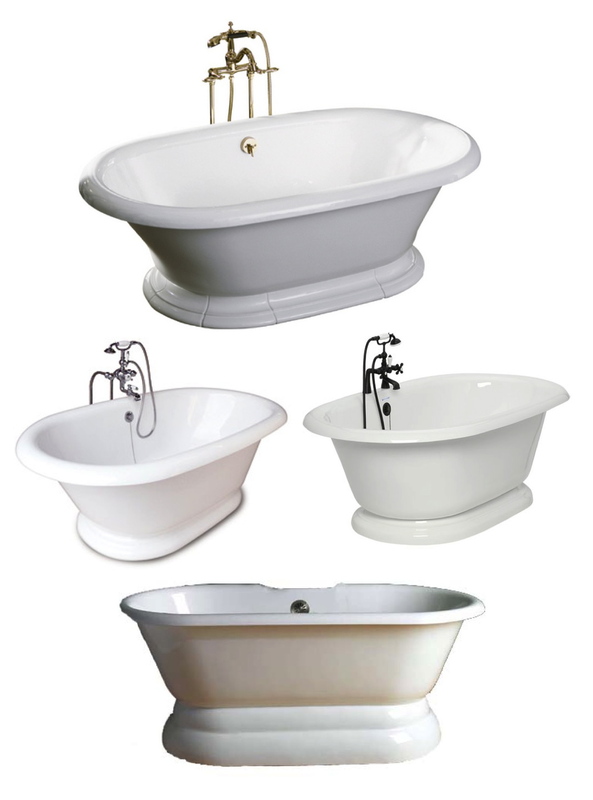 Footed tubs, reminiscent of a more simple time, are a sought after addition to even modern bathrooms. Grandeur and indulgence of a soaking found in the footed tub, with style. A trend of shifting to the past for elegance and style has perhaps brought this timeless classic back as a focal point. Indeed, the past always carries and presents elegance and style to inspire! This spacious and nostalgic tub can add charm, appeal and sense of luxury in a wide variety of bathroom interiors. Cast iron claw foot tubs are typically oval in shape and are made with a layer of cast iron overlaid with porcelain and painted on the opposite side. Acrylic clawfoot tubs are made with a variety of different materials and are lighter, easier to install and safer on the 2nd floor than cast iron clawfoot tubs. Whether in the classic cast iron or in lighter weight acrylic styles, the varieties available in styles, colors and foot finish options seem limitless. 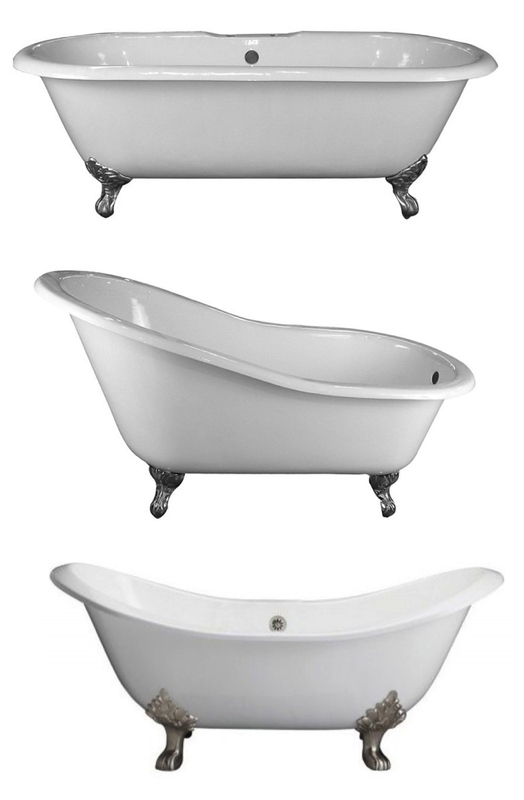 There are three common varieties of this classic tub. The “roll top” or “flat rim” is the standard clawfoot tub, the Slipper tub, which has one side raised higher than the other, allowing for more easier reclining and relaxation and the Double Slipper tub, which is designed with both ends being raised and sloped for relaxation and comfort at both ends- double the pleasure, if you will! Like fashion, the originators of the clawfoot tub copied the styles of furniture from the time period- thus, the ‘clawfoot’ legs. Interestingly, the ball and claw was developed in Holland around the early 1700’s, inspired by a Chinese motif of a dragon clutching a pearl. The design evolved into a claw clutching a ball, and found its way from Holland to England and then to America within the first part of the 18th century. There are two variations of the ball and claw: a lions claw, which is more popular in England, and an eagle’s claw or talon, which is more popular in America. Both iconic designs were typical of carved furniture of the period and have certainly lasted in duration as an element of style. 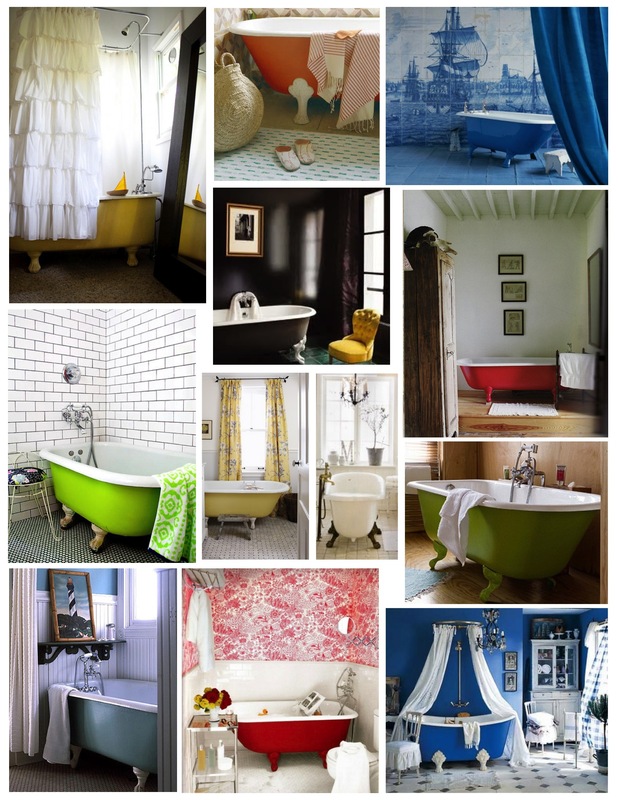 Aside from the ball and claw, there are many choices in terms of the bathtub feet and finishes. The most common clawfoot feet styles are Paw, Cannonball and Armada and of course, Ball & Claw. The most common colors in finishes are white, polished brass, chrome, satin nickel, old world bronze and old world copper. Beyond that, color possibilities are endless! Color explosions add a personal statement to any interior. Alas, the updated and personal version of vintage charm brought into a modern world. Understanding the history of the arrival of this grand tub begins with the re-appearance of the plumbing system. Interestingly, the earliest plumbing systems discovered date back nearly 6000 years to the Indus River Valley in India, where copper water pipes were excavated from the ruins of a palace. 3000 years later, a bathing tub, similar in design to the clawfoot tub, was found in the Greek Island of Crete formed of hard pottery and about 5 feet long. Imagine! The Minoan civilization is also said to have had underground terracotta pipes for sanitation and water. It was the Roman Empire that promoted the daily ritual of bathing and sanitation. Unfortunately, their lead and bronze pipes, marble fixtures and sewer system were soon lost after the collapse of the Roman Empire when the decent into Dark Ages began. Bathing was replaced by the use of perfume! It was not until the early 19th century that installation of underground sewage systems in European cities occurred. 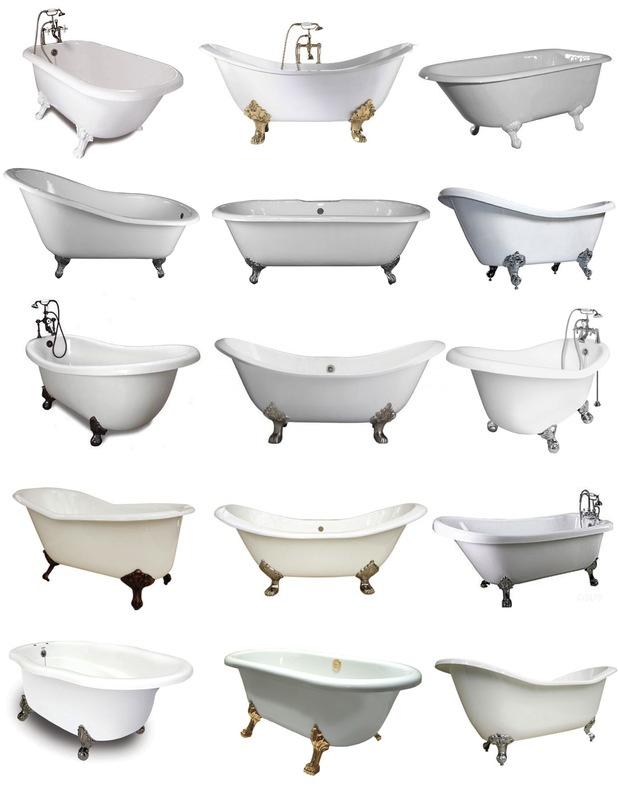 The history of the clawfoot tub begins in the mid 1800’s and, unfortunately, diminished in the 1920’s. It was not until the late 19th century that the luxury item status of the clawfoot tub set in. The very first clawfoot tubs were made of tin or copper and had an oak trim. Who knew? In 1873, J.L. Mott Iron Works Company produced clawfoot tubs constructed of cast iron and enameled in porcelain. Before this method originated, tub interiors were simply painted, which led to peeling and other maintenance issues. During the same time, history records that the Standard Sanitary Manufacturing Company (now known as American Standard) and the Kohler company also simultaneously stumbled upon the idea of enameling the interior sides of rough cast iron tubs to create a smooth, clean finish. Of note, the first tubs created in this way were marketed for the use of farm animals and livestock! Again, who knew? It wasn’t long, however, that the concept of bathing in these large receptacles caught on and soon, both the shape and easy to clean surfaces went into mass production. Sanitation and bathing had returned, once again! Known and regarded as the essence of the Victorian bathroom, some of the Victorian era clawfoots had shower enclosures and rounded hoods with shower rings and curtains. 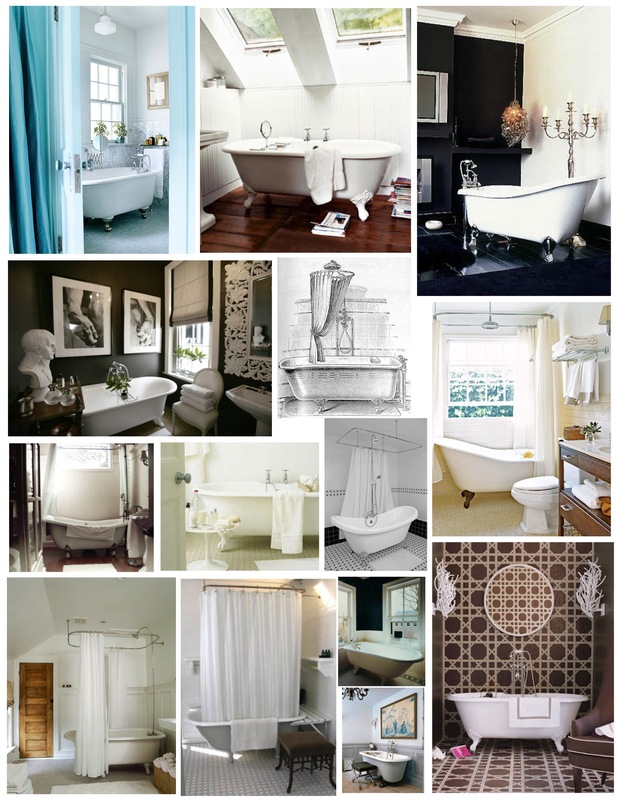 Privacy and early luxury-the essence and precursor of the ‘spa factor’, for certain! These beauties were large in size and constructed so that a man could lie down in them. A bonus was that due to the conductivity of cast iron, they retained heat or cold for long periods of time. The heyday of the clawfoot tub lasted from about 1885-1930, during which time history states its popularity peaked between 1910-1920. The clawfoot tub, and perhaps the pedestal tub, waned in attention with the introduction in 1911 of the standard, built-in, double-walled single bathtub. Perhaps it was the great weight of the cast iron claw foot tubs that caused it to fall out of favor? Perhaps the ease of cleaning was another reason? Either way, this new bathtub paired well with the more modern plumbing systems and, alas, slowly halted the celebrity status of the footed bathtub. But that has, indeed, changed. The clawfoot tub has returned and is here to stay! A timeless classic, indeed. 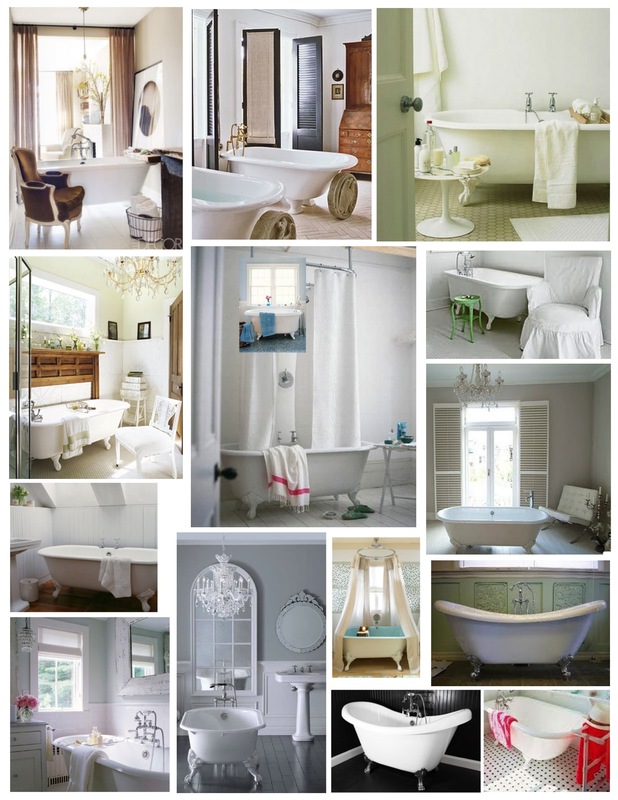 Consider the clawfoot tub in the classic white or in a multitude of finishes and colors. Choices, style and timeless beauty…footed in style, indeed. Understandable, as there is nothing quite like a shower,too! 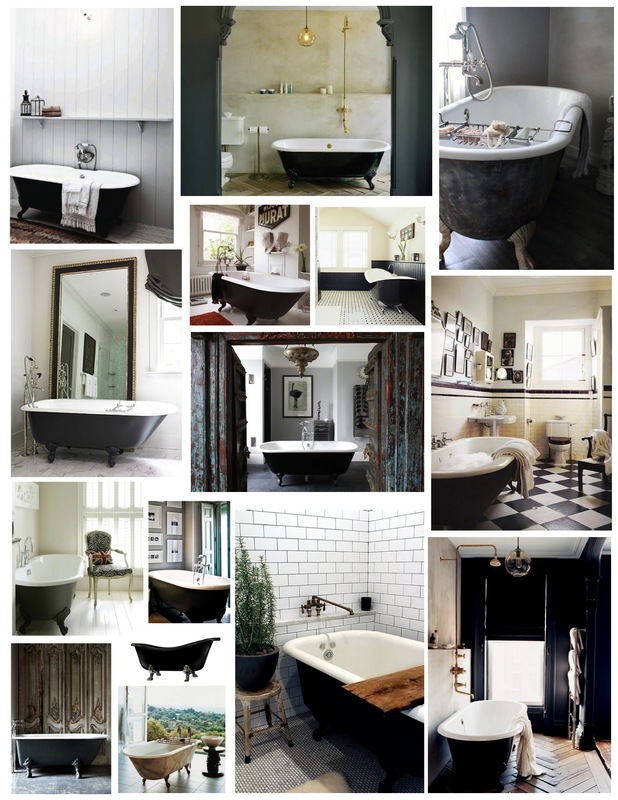 You are right-aesthetics are certainly found in the footed tub! I just wanna say that your blog is very great. If you post more articles like these, I’ll follow your weblog to read more interesting stuff. Thank you for sharing your thought! I appreciate your feedback and compliments. Please do return again!